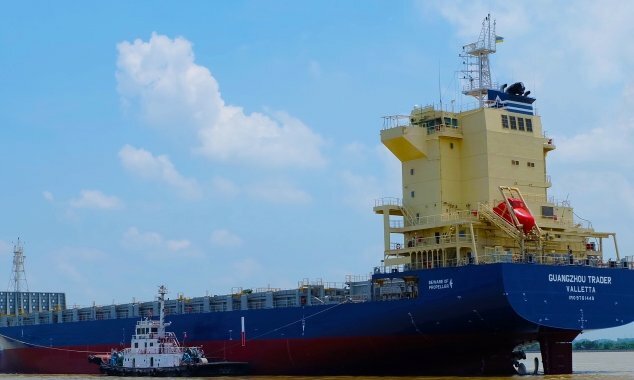 UK owner Lomar Shipping has signed shipbuilding contracts with China’s Yangzijiang Shipbuilding for the construction of two 1,800 teu feeder containerships. The two vessels are the latest options exercised by Lomar Shipping at the yard. In August 2016, Lomar Shipping ordered four 1,800 teu containerships plus four options at Yangzijiang. The first four vessels are expected to be delivered between the second half of 2018 and the beginning of 2019. In March, Lomar Shipping also exercised options for three 1,750 teu container vessels at Cosco Guangdong Shiyard. Lomar Shipping has also been active on the secondhand market. Last week, the company snapped up two small 496 teu ships, ER Helgoland and ER Cuxhaven, for 3.8m each from Germany’s ER Schiffahrt.